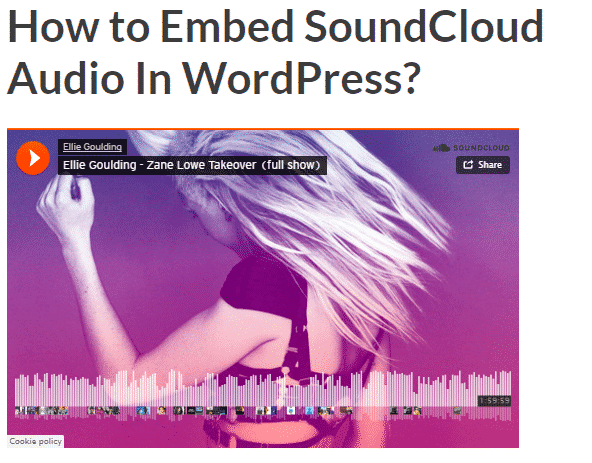 With the help of EmbedPress, you can easily embed SoundCloud Audio to WordPress, using just a URL. 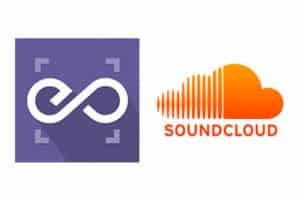 SoundCloud is a world’s leading audio distribution website where users can upload, share, record and promote their originally created sounds and millions of users on SoundCloud can access it. The content on SoundCloud is divided between small time musicians and popular musicians. EmbedPress is a dependable and valuable plugin. With the help of EmbedPress, it is very simple to embed audio in WordPress, you don’t need to mess around with embed codes. 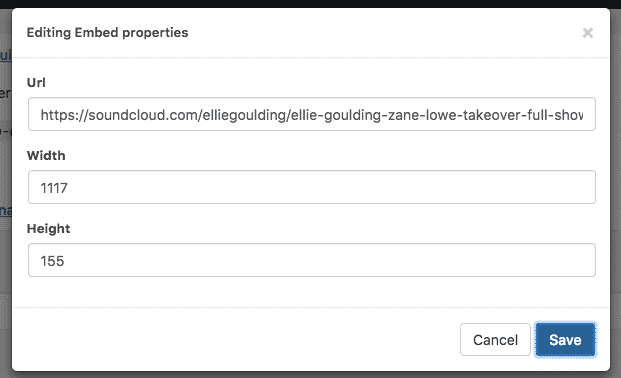 All you need is the URL of the audio that you have selected to embed on your site. Click here to find EmbedPress on WordPress.org. Here are the steps to embed any audio into your WordPress site, using the EmbedPress plugin and a URL. Before you can embed the audio into WordPress, you need to get the URL of it. Select the sound you want to embed in your WordPress Site from the various genres like disco, jazz, pop or from the sounds you have uploaded. Click on share option after clicking on “more” button, pop up window will appear and copy the URL of the audio from it. Now you have the URL, you can use it to embed the audio in WordPress. Click on “Post” or “Page” icon from “New” option or Edit your previous post or page to add the embed. Copy the URL of the audio into the content area, with the “Visual” tab enabled. 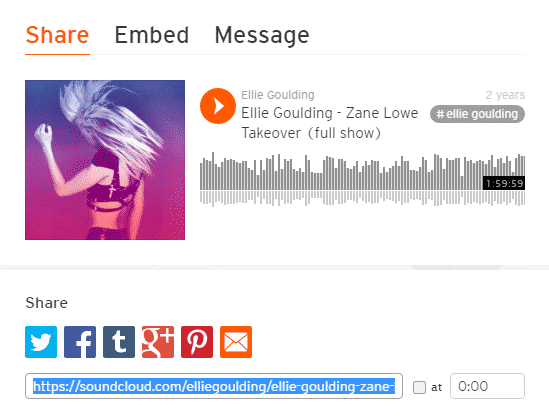 The URL will be automatically converted into an embed of your SoundCloud audio. 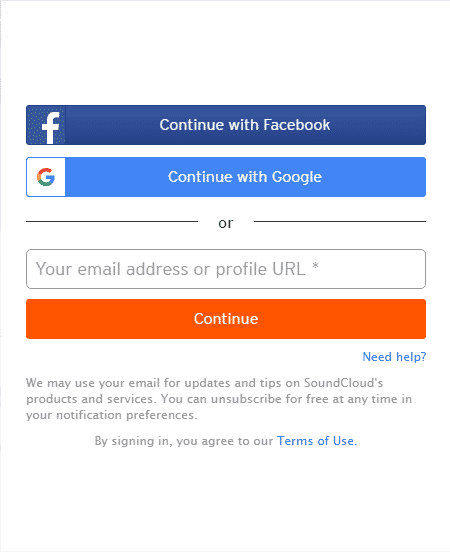 The SoundCloud Embed will be responsive, it can be shared it on other social media sites like Facebook, Twitter and Pinterest. Visitors can also rewind it backward or forward if they only want to listen to some parts of the embed audio. Move the mouse pointer over the SoundCloud Audio embed and a purple button will show up on the top of it. You can modify your audio embed URL, in addition to that you can also modify the width and height of the embed according to your requirements.